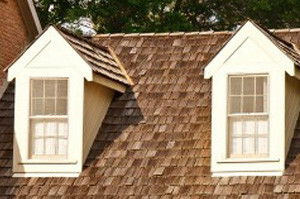 Shingled Roofing | Cedar Shake Roofing | Slate Tile RoofingNaperville Exteriors, Inc. is widely considered to be the leading roofing contractor for persons throughout the Greater Chicago Metropolitan Area. When it comes to roofing, our roofing contractors strive to do everything they can to ensure that your roof replacement is precisely what you want and at a fair and reasonable price that doesn’t exceed your budget. Naperville Exteriors fully understands how challenging it can be to track down the finest roofers for your roofing project. We are distinguished for not only having the most outstanding team of roofing contractors, but our roofing materials and labor are assured of enhancing the exterior of your residence as well as increasing the value of your property. Consequently, whenever our neighbors in Boulder Hills are searching for the best new roofer for their roofing project, the only name they need to know is Naperville Exteriors. Boulder Hills, Illinois is a CDA (Census Designated Area) in Kendall County of a little over 8,000 residents. Naperville Exteriors, located in Lockport, is conveniently located approximately 18 miles southeast of Boulder Hills. On the occasion Boulder Hills’ residents are in the market for new roofing, they prefer to go with the best in the industry – Naperville Exteriors. We are celebrated for having the roofing products, competitive pricing and excellent services our Boulder Hills’ customers are seeking. In fact, as Chicagoland’s preferred certified roofing contractor for over 14 years, Boulder Hills’ residents know that Naperville Exteriors never cuts corners or takes short-cuts at their expense. Quality craftsmanship, attention to details and the safety of our Boulder Hills’ customers, their families, their residences and our crew are paramount to our philosophy of delivering the best products at the best prices. Naperville Exteriors, Inc. is well-known for guaranteeing that you will receive the highest quality of roofing workmanship from our courteous and proficient roofing contractors. Not only do we have more than two decades of experience in the roofing industry, but Naperville Exteriors has had the same roofing crew working together on roof replacement and other roofing projects for over a decade! When you deal with Naperville Exteriors, you will be pleased to learn that you are collaborating with one of the most firmly established and highly respected roofing companies in the region. Moreover, with customer satisfaction as our top priority, it should come as no surprise that not only will Naperville Exteriors endeavor to meet your expectations, but we will regularly surpass them! For the kind of roofing contractors who are trustworthy, reliable and respectful, Naperville Exteriors should be your destination. Call us today at: (630) 254-4831 for your FREE quote for roofing services. We look forward to earning your business.